● Buhari has ordered for me to be "wasted" whenever seen. I have never seen anything like this before. If not that this writer personally knows the people involved he would have assumed that it is a scene from the 'make believe world'. But off course, he is also not ignorant of the fact that the contraption called Nigeria is nothing but a make believe world. Its a country full of absurdities. One of such absurdity is what you are about to read. He has of recently been described as the APC led government of Nigeria as most wanted Musical Artiste. This upcoming Musical Act took the country by storm when he released his debut "freedom song track" which has defined what a freedom song should sound like. The impact this track made on the Biafran restoration project prompted him being declared "most wanted" (dead or alive) for what the government of the day called giving support to the "separatist Biafran agitation". His names are Prince William Chibuzo Mbah but goes by the stage names Don Prince. Don Prince is a musical artiste of Biafran origin but exceptionally talented. His musical prowess is second to none. His beats are melodious and his voice breathe taking. He is dedicated to singing for freedom due to the fact that he hates injustice and thus has dedicated himself to singing about Biafra freedom and Nigeria's injustices against Biafrans. 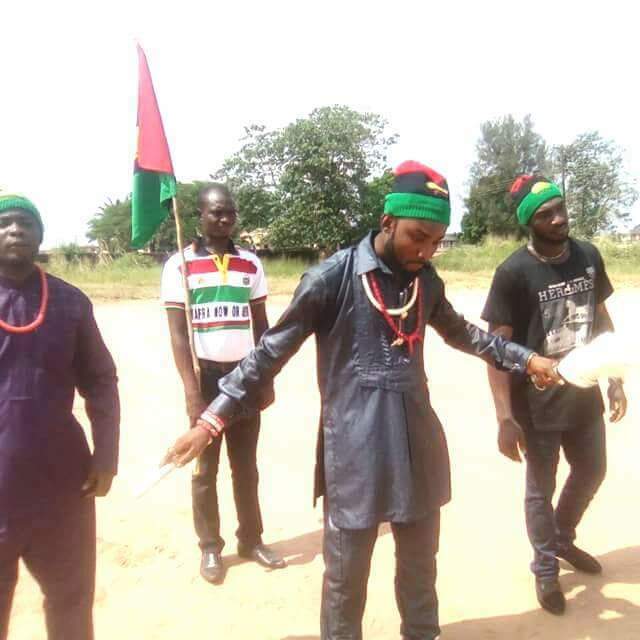 On Monday 30th of January, 2017 he was arrested at the car park of the Murtala Mohammed International Airport, Ikeja enroute his Enugu State, Biafra land home from his foreign base in Spain. Don Prince was picked up with his Barrister daughter, Princess Jennifer Chinagorom Mbah and her 2 female foreign friends who are equally lawyers who came into the country on a working visit. They were arrested by the Nigerian Gestapo organisation called the Department of State Service, DSS on the direct order of the African Hitler Muhammadu Buhari (AHMB). The four of them were taken to the Gestapo outfit office at Ajangbadi, Lagos where they were detained for 3 days and kept incommunicado (from Monday January 30, 2017 till Wednesday February 1st, 2017). Don Prince was thrown into a cell with hardened criminals in spite of the DSS officials being aware that he has only recently undergone a second Kidney transplant while the ladies were locked up in a dusty office. "Thank your stars that you arrived this country with these foreigners if not for their presence, you would have been a dead man by now. We had a direct order from above to waste you when and wherever sighted. If not for the likely consequences of killing the foreign girls from their country's government and the fact their embassy is aware they are in the country, we would have 'wasted' all of you"
On arrival of his lawyer, Barrister Ngozika Onovo on the Thursday 2nd February, 2017 and upon her insistence that his client has a serious health challenge and shouldn't be allowed to remain in the DSS detention facility, he was then moved to Abuja where he was arraigned for treasonable felony. Yes! You heard me right. Don Prince was charged before an Abuja Municial Magistrate Court for treasonable felony when there is no proof of him planning to levy or levying war on the country. Its one of the only few times in history that someone without means of levying war and with no collaborators has been charged for treasonable felony. Such can only happen in Nigeria. He was however granted bail to the disappointment of the Gestapo organisation as even the Magistrate expressed surprise at such an absurd charge. The case was then adjourned to March 21st, 2017 for trial. 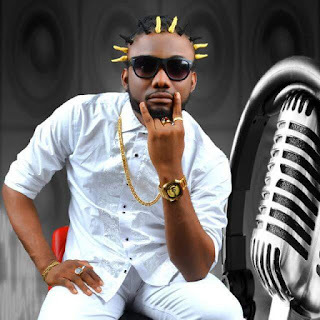 When asked what could have warranted his arrested by the Gestapo organisation, Don Prince had this to say "Immediately after the successful release of my now very successful musical track "Biafra has come", I was still in Spain when i started receiving calls that the APC Nigerian government led by Muhammadu Buhari has declared me wanted. I thought it was a joke as i have committed no crime to warrant my arrest. However, on my return to the country, i was accosted at the car park of the airport by men who identified themselves as the operatives of the DSS. 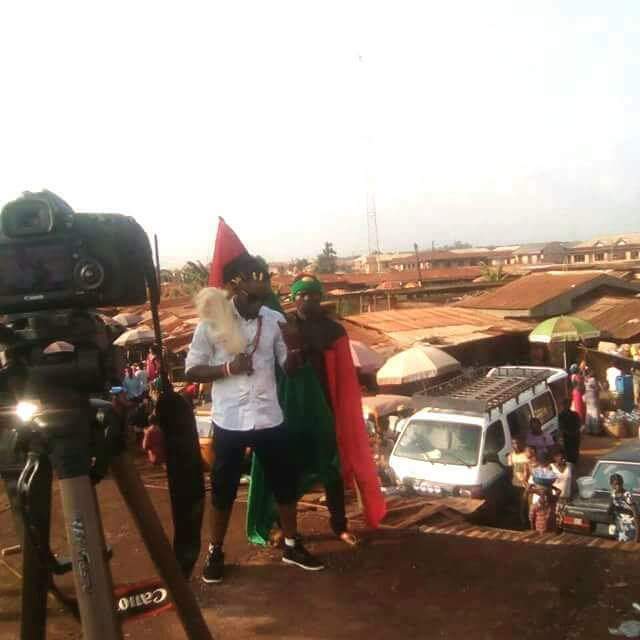 They then arrested me with my daughter and her foreign lawyer friends"
When asked what could have made the DSS to have charged him for treasonable felony for just being a Creative Artiste, the crowd pulling Biafran Artiste said that it was a further confirmation that Nigeria is a truly an Animal Kingdom. 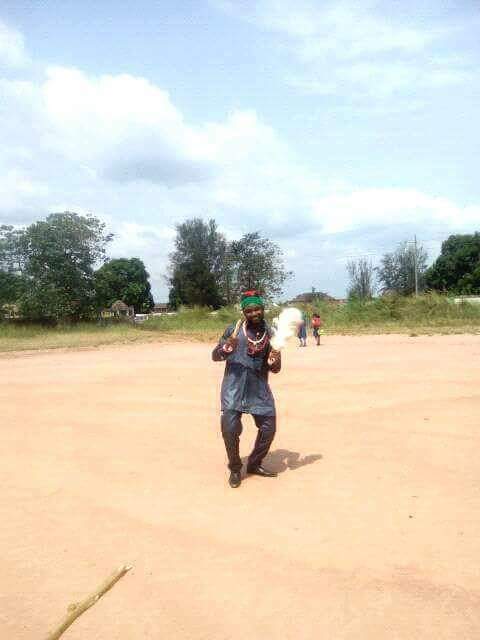 Don Prince believes that APC led federal government wants to get him "eliminated" as they see him as an artiste with the "Musical Weapon" that can propel the Biafran struggle to greater heights through creative performance. 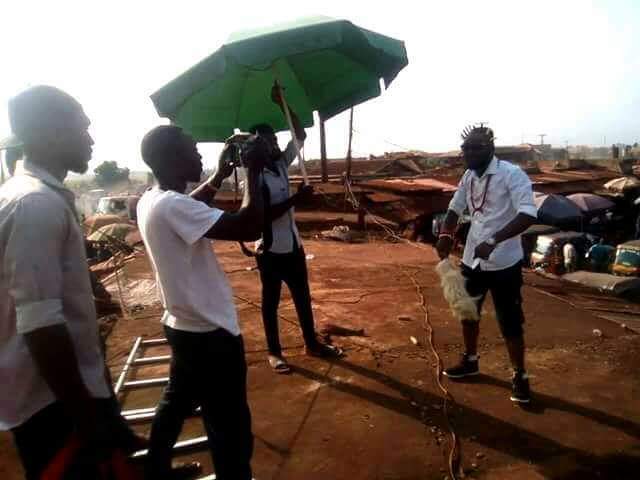 He has equally been hinted by sources within the Gestapo organisation that the AHMB government believes that his elimination will put fear in other would-be-Biafran performing artistes to give up the idea. (1) One no of Mac 3 Camera. (2) 3 nos of Sony Laptops. (3) The total sum of 450,000 Euro (250,000 Euro for him and the remaining for the daughter). 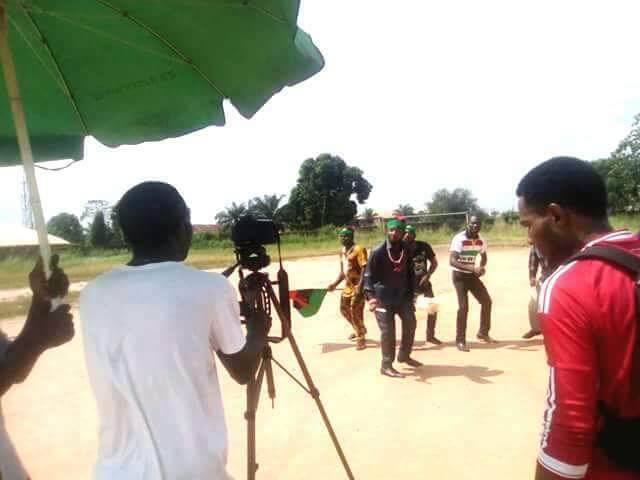 Don Prince has however vowed to continue to release even more musical tracks for the Biafran restoration especially since the government has proven that it fears the impact "creative performing acts" can bring to the struggle. Don Prince maintains that he still stands with Biafra or Death creed of the Nnamdi Kanu led IPOB and thus not afraid to pay supreme price for the liberation of all Biafrans. He sees the fact that he is Hitler Buhari's APC led government most wanted musical artiste as a motivation and does not contemplate retreating at his point. When asked what he wants from Biafrans as the case progresses, he said "I want Biafrans from all works of live to come and give me moral support during the trial on 21st of March, 2017. That is all i seek from them"
He ended by urging Biafrans to remain faithful to the struggle and equally urged Biafran Musical Artistes worldwide to prepare for a musical collaboration for Biafran freedom that will shock the world.